Are you an avid theatre buff who can name all of Shakespeare’s plays—in chronological order—and reel off the precise number of performances for each of Broadway’s longest-running shows? Or do you see a play or a musical only now and then as a special treat? Either way, You’re On! will tease your brain and tickle your memory. 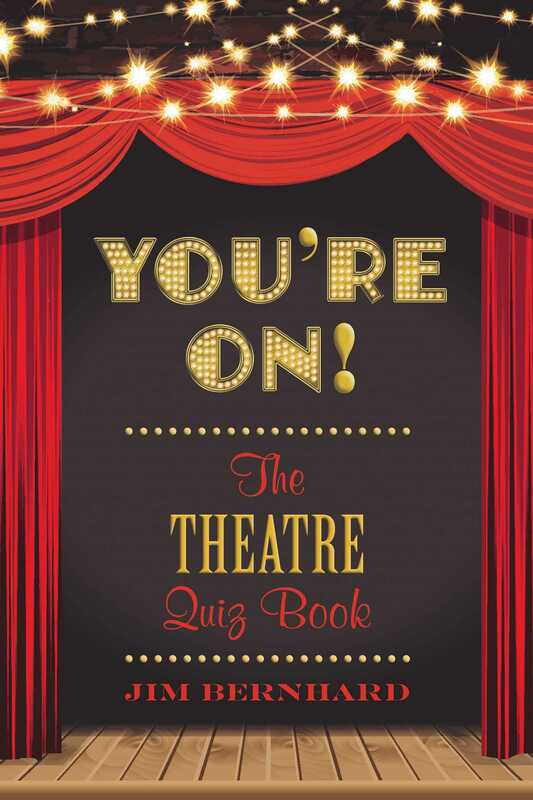 Casual theater-goers and seasoned thespians alike will enjoy the challenge—and maybe learn a few little-known facts about their favorite shows and stars. Do you know what the original title of Oklahoma! was and why it was changed? Can you name ten shows in which God appears as a character? What famous actor’s last words were “Dying is easy—comedy is hard”? Which Broadway star was also an opera singer, a nightclub performer, and a baseball team owner? And what character says, “Gin was mother’s milk to her”? So, lower the houselights and raise the curtain. Book Cover Image (jpg): You're On!